AV Integrators( Unit of Info Machines) Distributors for Audio Visual Equipments. 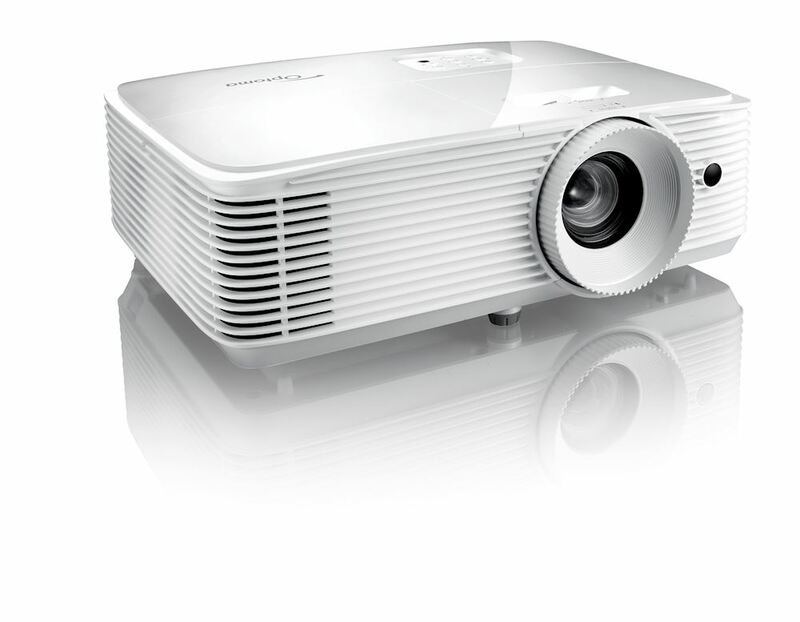 Introducing Optoma HD29H HDR compatible Full HD 1080p gaming and entertainment projector Convenient and easy to setup, the bright and versatile HD29H boasts HDR compatibility as well as delivering high contrast and accurate true to life colour reproduction. This compact projector is ideal for HDR gaming with support for 1080p 120Hz which provides a lightning fast response time of 8.4ms. You can even use it for watching live sport , TV shows and movies. An integrated speaker provides you with great sound and two HDMI inputs enable an easy setup - perfect for connecting a laptop, PC, Blu-ray player, media streamer or games console. You can even turn it into a smart projector by connecting a 4K UHD HDMI dongle like the Google Chromecast™, Amazon Fire TV or Apple TV™ to play games, stream videos and share photos on the big screen in the comfort of your own home. Weighing less than 2.5kg you can take it round to a friend’s house with the optional carry bag for a sports event, movie night or games marathon for a big screen experience anywhere with a flat surface.